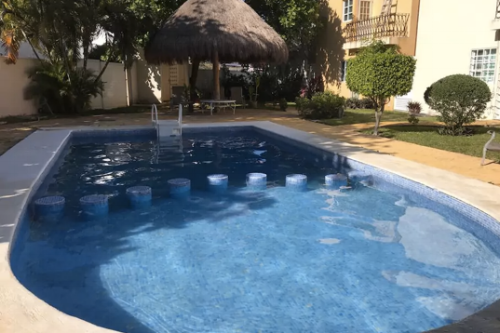 This beautiful and quiet rustic Mexican-style house is located within the heart of Cancun, where you can enjoy its comfortable rooms with cozy terraces. 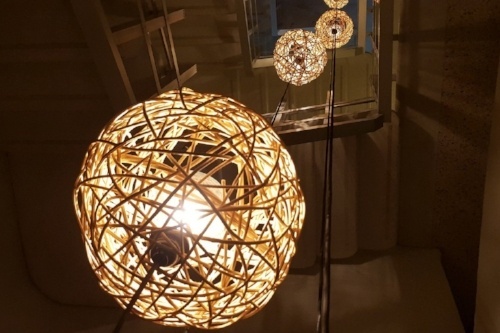 It offers vegan, organic and gluten-free breakfast on demand, yoga classes and dinner upon request. 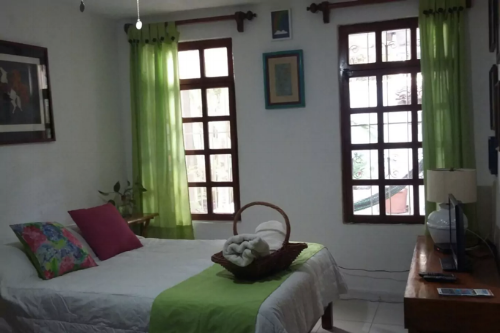 This is a completely renovated room, with a shared bathroom, double bed, fan, A/C and TV. The private garden brings in natural light to the room and the possibility to relax outside in a green area. Guests have access to the kitchen, where they can use the fridge, microwave, electric grill and coffee maker. 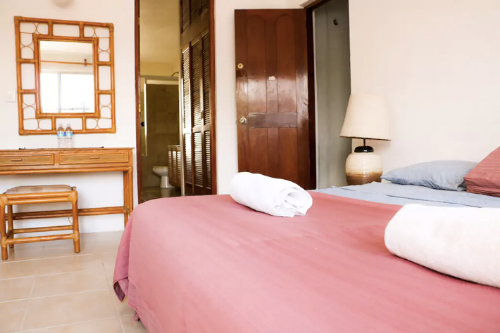 This familiar suite is located in downtown Cancun, 5 minutes from the city’s largest shopping mall and close to many lovely restaurants. It has its own entrance, pool, A/C, a mini fridge, a comfortable double bed and coffee machine. The pool area includes a palapa, a grill area, chairs and towels. The beach is less than two miles away and you can easily get there by bus or taxi. The superhost is available most of the time and provides attention to guests through texts. He also offers transportation for up to 3 people for only $30USD. This quiet room is full of natural light. It has a private bathroom, independent entrance and tasteful decoration. It includes a mini-bar, a coffee machine to make instant coffee or tea, as well as an oven. It also has a space to work with a laptop, if necessary. 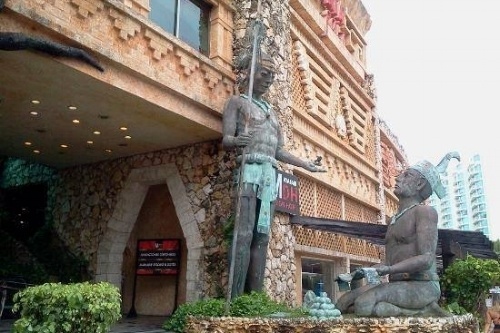 It is located in the center of Cancun, a few steps from Tulum avenue. Here, you do not need a car to get around since you can catch the bus to the beach right on the corner. 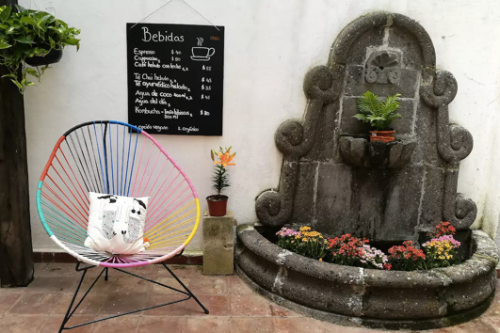 Nearby, you will find several restaurants, banks, a hospital, a casino, a garden with a bike path and Las Américas Mall, where there is a supermarket and cinemas. 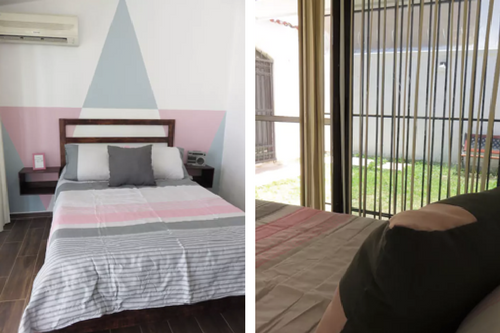 Naranja 2 is a very nice and quiet place to stay in the center of the city. 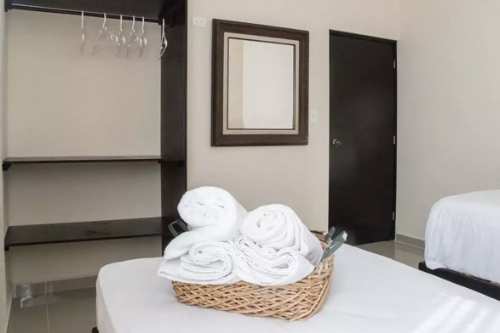 It is located less than 10 minutes from the beaches and 5 minutes from the ADO bus terminal. If you stay here, you will not need a vehicle, since the most important spots from the city can be reached by foot. 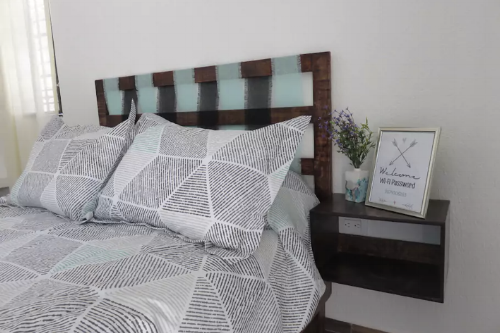 This apartment has a separate entrance and a fully equipped kitchen with refrigerator, oven or stove, microwave, coffee maker, blender, toaster and dining room. The superhost personally takes care of welcoming you, as well as giving you information about Cancun. 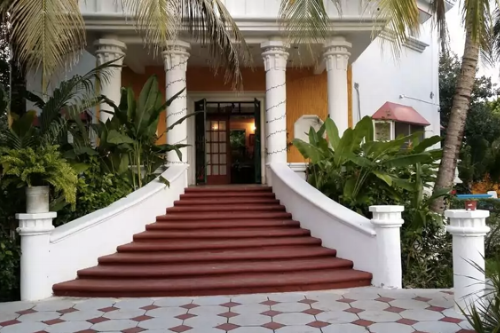 It is located at kilometer 8.5 from Kukulkan Avenue, a few steps from Forum By The Sea Shopping Mall and 2 miles from La Isla Shopping Mall. It is surrounded by supermarkets, shops, bars, nightclubs and many other attractions. 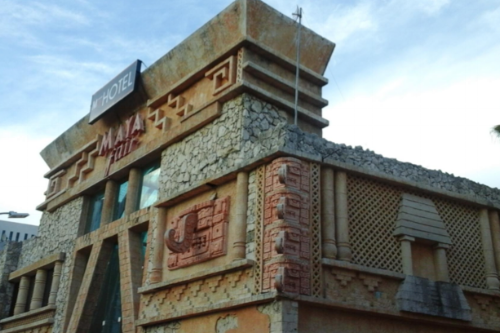 Hostal Mayapan is without a doubt the most central accommodation in Cancun. Nearby, you can go snorkeling, fishing and on kayak trips. Guests can also go on bicycle tours through Cancun. 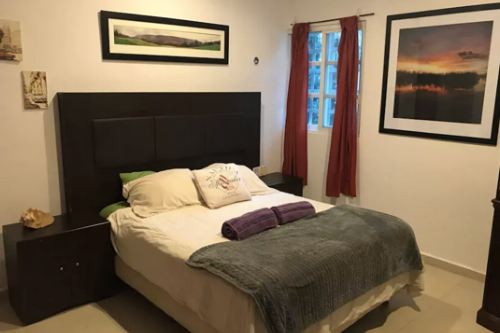 This 21-bedroom B&B is located in a secluded suburb of Cancun, perfect for those seeking to get away from the hustle of the city. It is 10 minutes by car from the center of Cancun and 15 from the beaches. 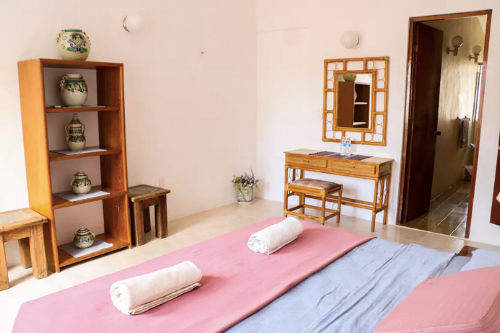 It has Wi-Fi, a free towel service and two outdoor swimming pools. 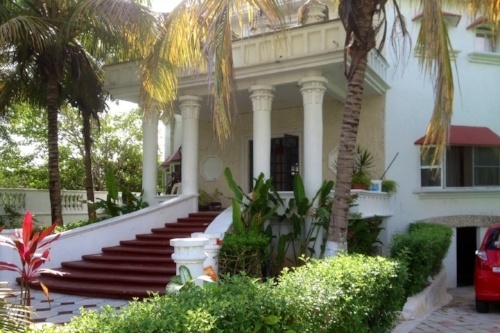 The Giahn Mansion has lush tropical gardens and fruit trees surrounding it. Each room has A/C and a balcony. 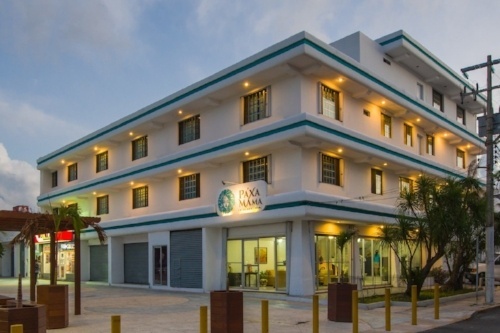 Pa'Xa Mama Hotel Boutique offers rooms with A/C, free Wi-Fi and private parking in Cancun at no extra cost. Every room has cable TV and a private bathroom, some even have a living room. The bus station is 500 meters from the hotel and the International Airport of Cancun is 14 km away. This hostel is near a bus stop and well connected to some restaurants in Cancun. The rooms include access to a shared kitchen with a fridge, toaster and kitchenware. Some have A/C, a living room, sofa, dressing room and dining room. All rooms have a private bathroom. Make the most of your visit: if you go to La Isla, why not enjoy an innovative and fun interaction with dolphins in the Interactive Aquarium of Cancun. There, you will learn more about our marine mammals, surrounded by other impressive animals. As you can see, even the smallest accommodations in Cancun are lovely. On your next visit, we want you to spend an incredible time in one of these rooms and get to know this city from a different angle. 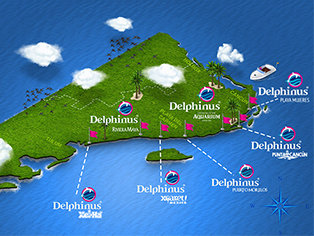 Book a swim with dolphins in Delphinus and add a special experience to your next vacation.